On Wednesday, JD Powers released their annual list of today’s most appealing automotive brands. Taken from an extensive consumer survey, the list was topped by Porsche, Jaguar, and Audi. Porsche’s victory marks a decade long dominance of the U.S. Automotive Performance, Execution and Layout study. In the study, buyers rate models and brands that they find most satisfying and appealing in 77 different categories. Moving out from under the shadow of the premium market, Hyundai was the highest rated mainstream brand, followed closely by Volkswagen and Chevy. 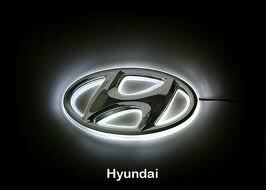 Hyundai’s win in the mainstream market was its first and a huge victory for the company. Overall scores were pretty much on par with previous years, minus one category of course: gas mileage. This entry was posted in Culture and tagged appealing, audi, chevy, hyundai, Jaguar, jd power, porsche, Volkswagen. Bookmark the permalink.